How to use HP Laserjet printer firmware update utility on El Capitan 10.11? I am a victim of gang stalking and have discovered that somebody has installed the PRET printer exploitation toolkit (github.com/RUB-NDS/PRET) on my HP Laserjet P2055dn printer. 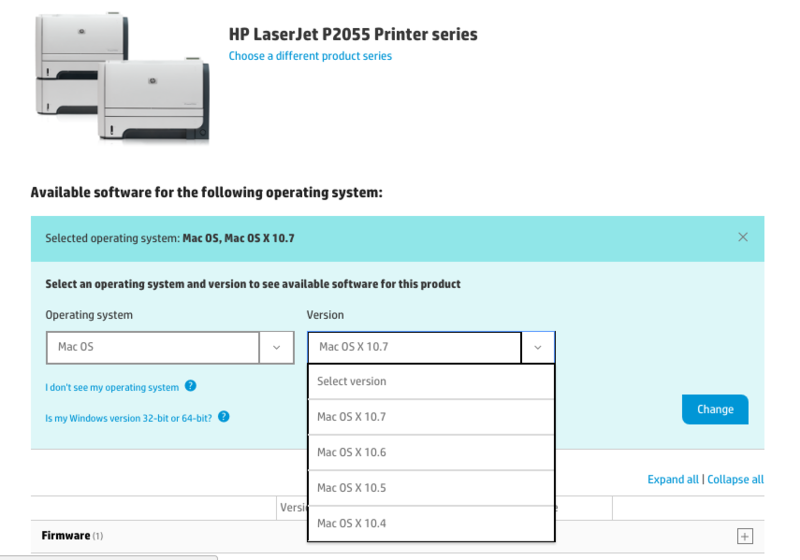 I wish to re-install the firmware from the Hewlett Packard support website (support.hp.com/us-en/drivers/selfservice/hp-laserjet-p2055-printer-series/3662052). The latest version of the HP Laserjet Firmware Update Utility only is for OS X 10.7 Lion, and there is nothing to download and use for later versions of OS X.
I am using El Capitan 10.11. 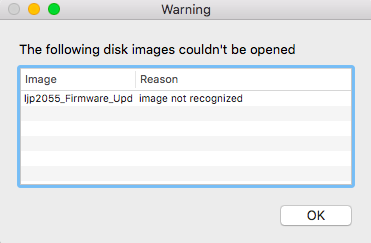 When I download and try to open the DMG file (ljp2055_Firmware_Update_Utility_20141201.dmg) I am unable to open the file, and get an error message saying 'The following disk images couldn't be opened: image not recognised'. I have tried opening the DMG file with Disk Utility to no avail. I do not have access to Microsoft Windows at all currently. I need to extract the necessary .RFU file, and then re-install the printer's firmware. Does anyone have any ideas on how I can get this done? This article from HP describes how you can update your printer firmware with LPR, a Mac/Unix terminal utility. You should not need the firmware update tool to update your printer’s firmware with this method. Best of luck! Not the answer you're looking for? Browse other questions tagged lion el-capitan firmware . Is it possible to make a bootable USB stick for a Macbook Pro to do firmware update? How can the average user easily validate the integrity of their Mac's firmware?